Welcome to Country Kids. Country Kids was one of the first linkies I joined in when I started my blog four years ago. It helped inspire me to enjoy so many outdoor adventures with my girls and create happy memories. It is an honour to be taking over hosting Country Kids from Fiona at Coombe Mill who has hosted it for the last seven years, along with my co-hosts Helena from The Queen of Collage and Lucy from Kids of the Wild. Helena will be co-hosting with me initially with Lucy hopefully joining us later on. We ventured out for the first time with baby Thomas. Our first trip out had to be to GreenAcres, to visit Jessica at her forever bed. It was an emotional trip but it felt so important to me that we were able to spend time near Jessica for our first time out and about since becoming a family of five. Thank you to everyone who joined in last week and for the comments you took time to leave. Unfortunately we had two link dumpers this week. Please do make sure you share some blog love if you link up. My favourite post from last week came from Karen at The Next Best Thing to Mummy who shared some useful advice on things to consider when getting a child their first pony. 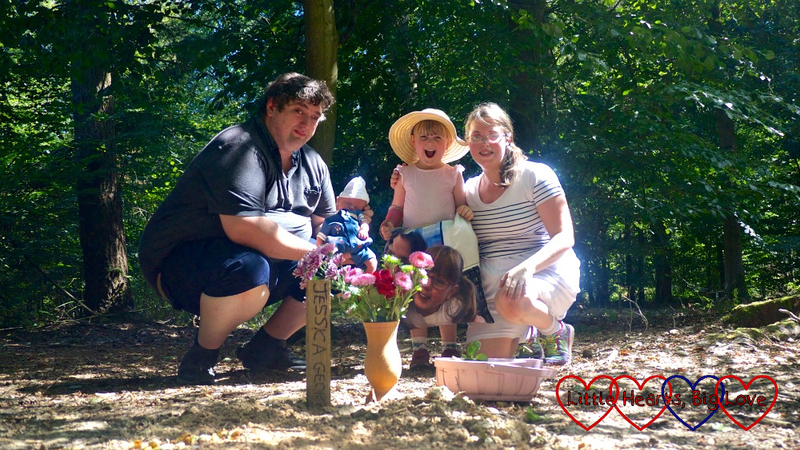 Helena’s favourite post was Mother Geek’s post sharing her first camping trip with her autistic son. Big love to all of you. Hope Thomas had a good first trip. Thank you Tina. Hope you are feeling better now.